One of my quadcopters recently had a hard landing that broke its landing skids. The skids that came with the frame kit consisted of 5mm carbon rods with flimsy plastic joints, and the crash broke both. 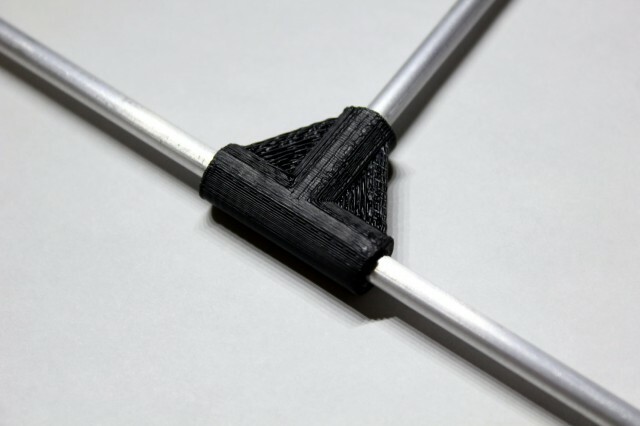 I decided to replace the skids with a more durable pair by replacing the carbon rods with aluminum and the plastic joints with sturdier 3D-printed ones. Once on the quadcopter, the new landing skids had similar give, but since they’re aluminum instead of carbon fiber, they should bend much more before breaking. Update: The aluminum bends pretty easily, bending even if the landing isn’t that hard. Fortunately, it’s very easy to bend back and can survive a much harder landing than the original carbon rods. 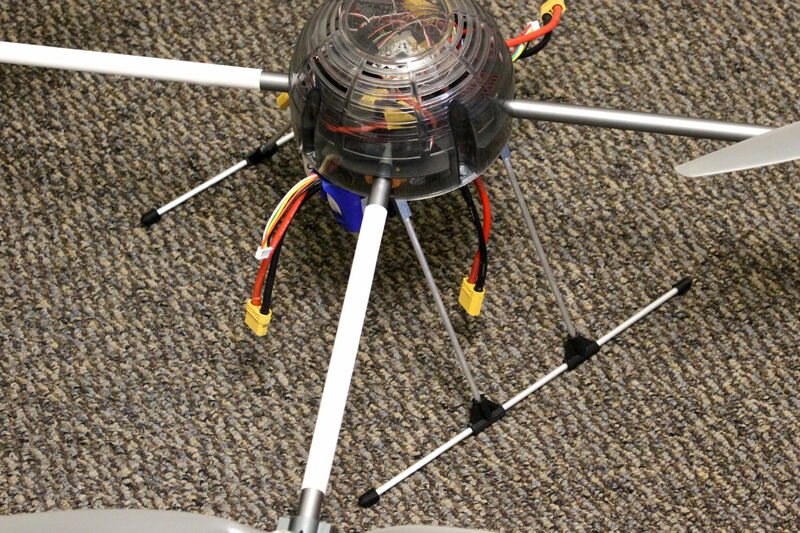 This entry was posted in Hacking and tagged 3d printing, landing skids, quadcopter. Bookmark the permalink.